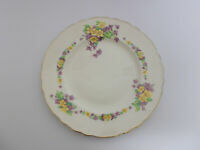 Six Royal Staffordshire Wilkinson Ltd Art Deco Floral Design 26cm Dinner Plates. We try to be fair and accurate with all our auctions and descriptions. Please read each auction and bid carefully. PLEASE NOTE: *Look carefully at each photograph and if you have further questions please contact us, we are here to help you understand your purchases better. 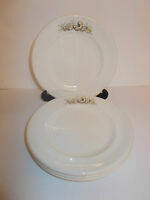 *All items on this site are antiques and vintage pieces and are, by their very nature, imperfect. When you purchase a piece from us, you are buying something with character. Therefore refunds will only be granted when an item has a significant misdescription or an area of damage, not noted by us, which is more than just natural ageing. Returns must be made within 7 days of receipt of goods and received by us in the same condition as it left our premises. The cost of return is not refundable. Cancellation of orders must be made within 3 days.